A Diamond Select Toys release! The conspiracy is real! 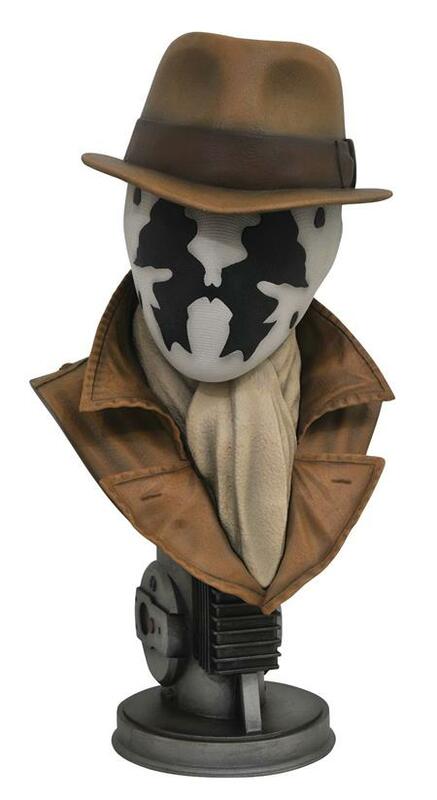 Diamond Select Toys and Legends in Three Dimensions have colluded on a line of colossal half-scale busts of pop-culture icons, and up next is the ultimate whistle-blower, Rorschach! The anti-hero of the Watchmen movie is now an epic 10' bust, with detailed sculpting by Rocco Tartamella. Limited to only 1,000 pieces, it's the ultimate Watchmen collectible! Bust comes packaged in a full-color, hand-numbered box with a numbered base and a certificate of authenticity.